I have realized that I mostly talk about my photography life. Well, I guess that makes sense....I mean, I am a photographer...this is my photography website....and so that's what you get!! I have said this before but the purpose of my "photography blog" is to document the "wonderful observations of this photographer". Or what I use to call my blog. Clearly I made that title when I was really really tired ...and in college (ha!). So my observations. Well, my life pretty much right now goes as following: Wake up, edit, eat, edit, answer emails/phone calls, travel, photograph, edit, edit, edit, travel, then more travel, photograph, schedule bookings, and then of course more pictures. It is great...and busy, but being self employed I had to establish some rules for myself. First off, to make time for family, friends, and special times for myself to step away from the computer/camera. Secondly to try not to schedule portrait sessions on Sunday morning, so I can attend church. More specifically Mercy Church. Before I went full time with this photography thing, I was traveling 5 sometimes 6 days out of the week. I only had Sunday, and often I would spend it with my sister. After awhile she invited me to go with her to Mercy Church. Not going to lie, but when I first attended Mercy Church I was a bit stand-offish. Growing up in the United Church of Christ, we sing straight from the hymnals. Nothing contemporary, and very traditional ways. I left my first service, loving the message and kind of questioning the music. People raising their hands in the air, singing, declaring themselves out loud to God, clapping and my foot was doing this thing.....it kept tapping to the music and wanted to start dancing a bit! It wasn't until Pastor Timmy Gibson stood up at the beginning of the service and basically said that it doesn't matter if you come from a christian background, or non christian background, if you love to raise your hand during the worship, if you sing on key or off key or don't sing at all.....you worship the way you need to worship. That this is the time to focus our hearts/attention to the big guy upstairs, and let all of our worries of the week take a breather as we worship together. It wasn't long after he said this, that I realized I really did love the music and my stand-off ways started to disappear about this church. I had just built this huge wall in front of me and it needed to be knocked down. I have always felt that at every church/faith establishment you needed to fit into their cookie cutter formation. That if you don't fit with their exact thoughts, beliefs, and ways you are "suppose" to worship, that you would not be welcomed. 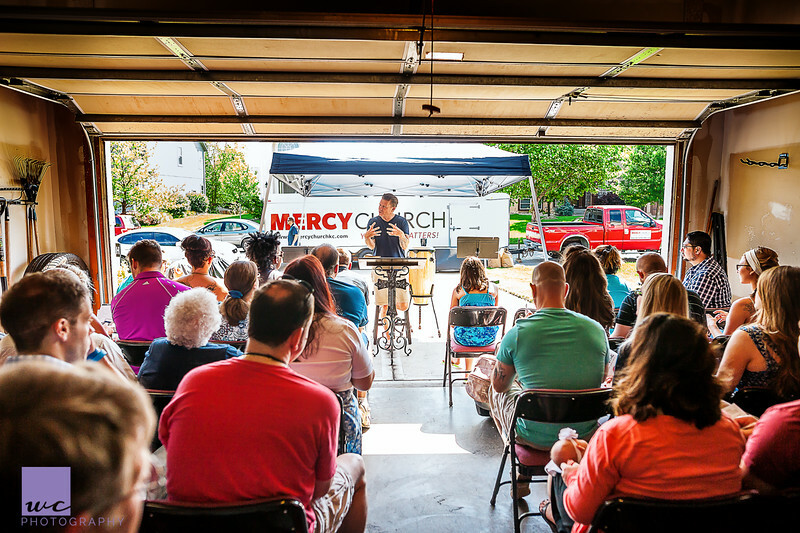 Mercy Church is not like that at all. Another wall I got to knock down! Mercy Church is a place that does bring me happiness inside and out. It was the place I realized that when I had a stressful work week I was more eager to go every Sunday. Even when I have to drive 40-45mins to get there, I really didn't care. Once when I was traveling for work and couldn't make it, woke up on Sunday morning with a worship song in my head, and craving the great coffee in my mouth (yes this actually did happen once!). And lastly, Your Life Matters!